There is a ton of advice on health and wellbeing. 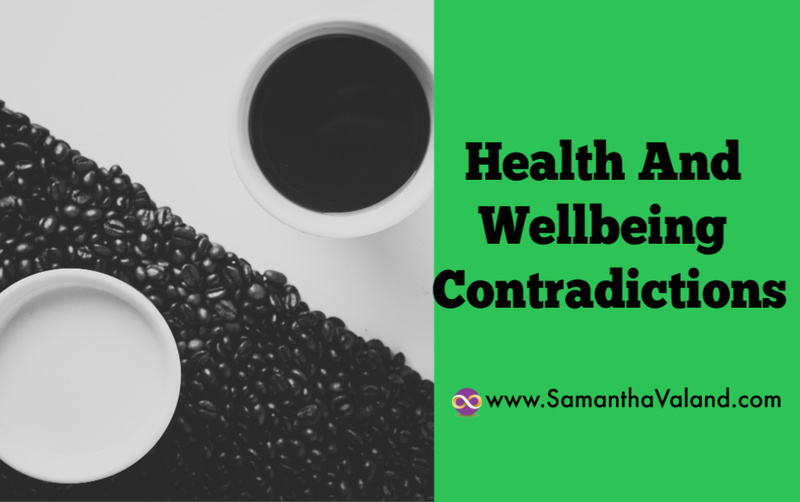 It often feel contradictory and finding a balance can feel like a fulltime job. Here are a few ideas of how to navigate them! We make thousands of decisions a day. We are encouraged to be mindful but also be efficient. Making decisions can help with everyday choices. This in turn helps us create the life we want to lead and work at our best. Barack Obama and Mark Zuckerberg are known for having a limited wardrobe. This helps them reduce the number of decisions they make in day, as what they wear is not as important as some of their other decisions! A capsule wardrobe may not appeal to you but perhaps there are other decisions that you can make that might. I have two meat free days a week, which are Tuesday and Friday’s. These are also oily fish days. This means I do not need to spend time thinking about what days to have oily fish, it just happens. Being mindful is useful for eating and ensuring we are not just clearing our plates because we are distracted because the TV is on or we are chatting. However, the reality is that it is a challenge to do, particularly at the end of the day when you are likely to have decision fatigue. Deciding what to have when you are plating up, rather than deciding on a mouthful-by-mouthful basis takes less brain power. If you spend 30 minutes every day wandering around a supermarket deciding what you want to eat for dinner, is that the best use of your time or would planning in advance be helpful? Make a decision! In order for you to leave the life you want, where do you need to be mindful and where do you need things to happen automatically for you? We live in a world where our friends and families are dispersed across the world. Technology can make it so much easier to stay in touch compared to snail mail. However, the technology that helps us to keep in touch is also quite addictive. It is easy to lose yourself in social media and not in a good way. Having good boundaries of how long you stay in social media. Deciding in advance that you’re are only going to spend 10 minutes on social media and setting a timer to let you know when time is up. In an era where we all complain about being time poor, we can claw back a lot of time by being strict about how long we want to spend online on social media. Perhaps a digital free Sunday and leave your phone in flight mode! Two messages we frequently get are to be more active, but also to meditate. Both have very different benefits. A quiet mind is not just meditation; it is anything that allows your monkey brain to switch off. When did you last lose yourself? At the end of a Pilates class I teach, I am often told that it was the quickest hour or the day. Being lost in a good book, journaling, colouring in and creating some art, can all contribute to a quiet mind. Being active usually relates to our sedentary lifestyles, which often find us sitting for long periods for our work. In fact, some meditation practices will also include sitting for hours. The recommendations for activity are 10,000 steps a day and moving for 2 minutes every hour. My FitBit tells me both of these. It is set up to nudge me when I have not walked 250 steps in an hour, which is surprisingly often on an admin day! Personally, I find it difficult to know how active I’ve been without it. This ties back into being mindful vs automatic at the start of this post! If you don’t use a fitness tracker, you can set an alarm on your phone every hour to remind you to get up and move about. Two walks of around 20-25 minutes a day will help you to get to 10,000 steps. This may be your commute or a walk at lunchtime and in the evening. Are there any multitasking options? Flâneur walking, which means wandering at a pace you would day if you and exploring a new city. It sounds easy but can be hard to do. Walking at an unhurried pace is quite a challenge in our fast paced world. Unless you have popped your phone in flight mode, it is easy to be dragged back into the real world. Finding a way to be active but not at the expense of a quiet mind, but also vice versa. What contradictions do you see, I would love to hear from you!